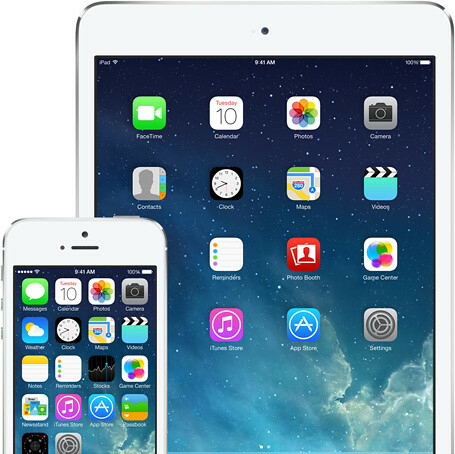 The new, long waiting iOS7 will be available to iPhone, iPad and iPod touch starting 18th September 2013. The software update is free. The new iOS has a completely redesigned user interface. Totally new re-designed user interface but still feel instantly familiar. Control Center – give quick access to the frequently used function in iOS like switch Airplane mode, turn on/off wifi and adjust the brightness of the display. Enhanced Multitasking – a more easier and convenience way to switch between application, close them and preview the running application. New filters in the camera which you can add effects to your photo. New “Photos” which groups your photos into collections and years. AirDrop – a Mac OSX feature is now introduced in iOS – allow you quickly share photos, videos, contacts and any thing from Apps with your friends nearby using bluetooth and wifi. Safari – new smart, unified search and new tab view. iOS in the car which allow you to connect your iPhone 5 and interact with it using the car’s built-in display and controls or Siri Eyes Free.